Auto Insurance - Opelousas, LA - Dupre Carrier Godchaux Agency, Inc. 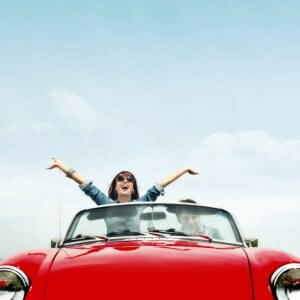 Whether you are beginning your search for car insurance, searching for a low rate or a new plan, Dupre Carrier Godchaux Agency, Inc. is here for you! By allowing our insurance professionals to hunt for the best insurance rate, our team may be able to save you hundreds on your auto insurance; particularly if you are considering bundling your insurance with a home or specialty insurance policy. Our agents work hard to ensure that you and your family get the best rates for your car insurance. Not only will your agent search for the lowest rate to match your insurance needs, you will also get the top notch customer service that only Dupre Carrier Godchaux Agency, Inc. can deliver. There are an overwhelming number of choices for car insurance out there, don’t stress! Let the professionals at Dupre Carrier Godchaux Agency, Inc. gather quotes from several insurance carriers, presenting you with the best options for your budget and needs! Our agents are here to help guide you through rate comparisons, discounts, flexible payment options and they may have some money-saving tips as well. Get your quote today! This covers medical expenses for injuries sustained by you and any passengers in your vehicle from an auto accident regardless of who is at fault; can also cover lost wages and/or other accident-related expenses after Uninsured/Underinsured Motorist Coverage.